The Brown Mamorated Stink Bug has quickly become the most common stink bug in the Pacific Northwest. Many people compare the odor of the BMSB to citronella. If you’re noticing stink bugs around your home, chances are it’s the Brown Mamorated Stink Bug. These unpleasant insects were first discovered in Portland, OR in 2004 after they journeyed to the U.S. all the way from Asia. Now the Brown Mamorated Stink Bug can be found throughout most of the Portland, OR Vancouver, WA & Camas metro area. Have you noticed your dog and cat want nothing to do with the Brown Mamorated Stink Bug? Without a major predator in this country to curb their growing numbers, there’s currently no natural solution to stop the Brown Mamorated Stink Bug from destroying our plants and gardens or from inhabiting our homes. Because the Brown Mamorated Stink Bug is so new and pervasive in Washington and Oregon, most people wonder if there is anything can be done to address the problem. Should I Get My Home Treated For Stink Bugs? When stink bugs are first spotted in or around a home, it’s a clear indication fall has arrived or is just around the corner. Stink bugs are seasonal invaders and fly in to overwinter inside the cracks and crevices of a structure. Stink bugs tend to follow the same flight pattern from year to year and can get progressively worse if left untreated. 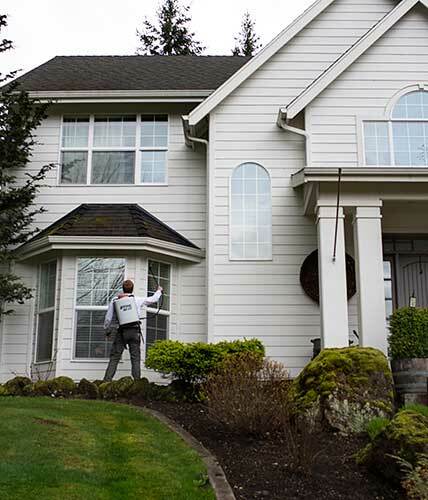 Professional stink bug control is most effective when large numbers of stink bugs can be seen on the outside of the home or when you are finding them inside your home. 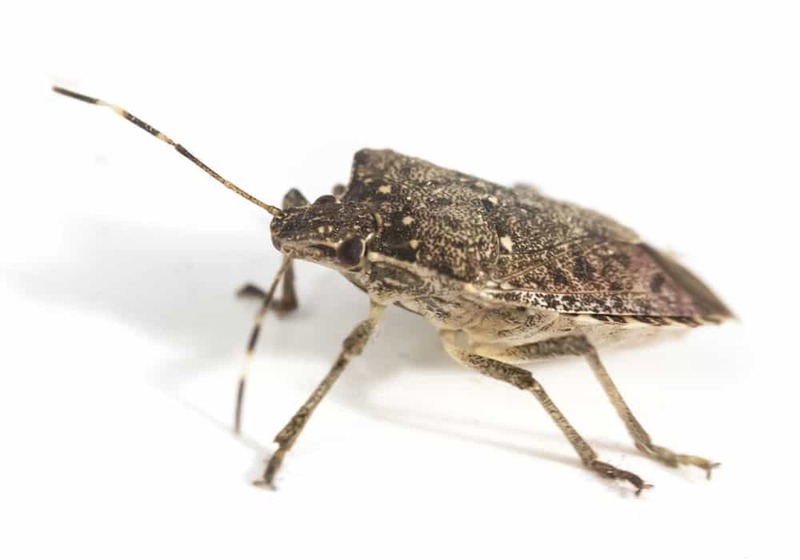 The truth about Brown Mamorated Stink Bug control is that total stink bug extermination isn’t possible because stink bugs are flying insects and they don’t respond to pesticide the same way other insects do. That being said, most of our customers report seeing a big difference after receiving a single professional treatment. We’re happy to answer any questions you may have in regards to the Brown Mamorated Stink Bug and our treatment method.